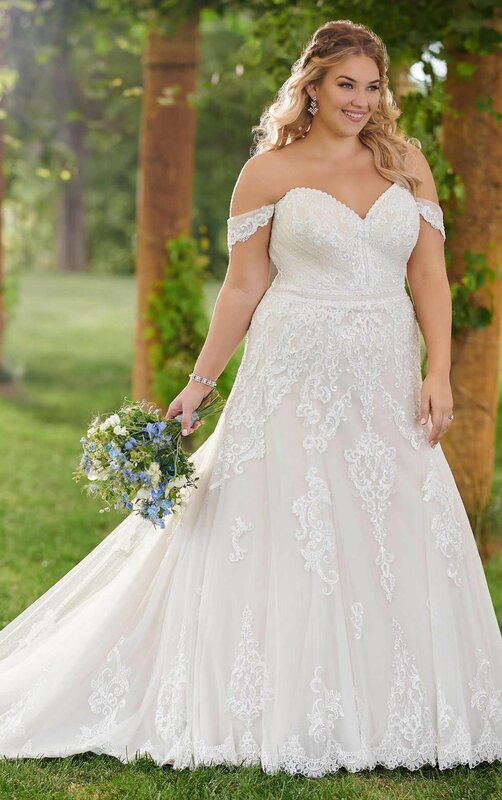 Our selection of gowns can be ordered up to size 34. We carry samples in sizes 16-26 for a more comfortable shopping experience. 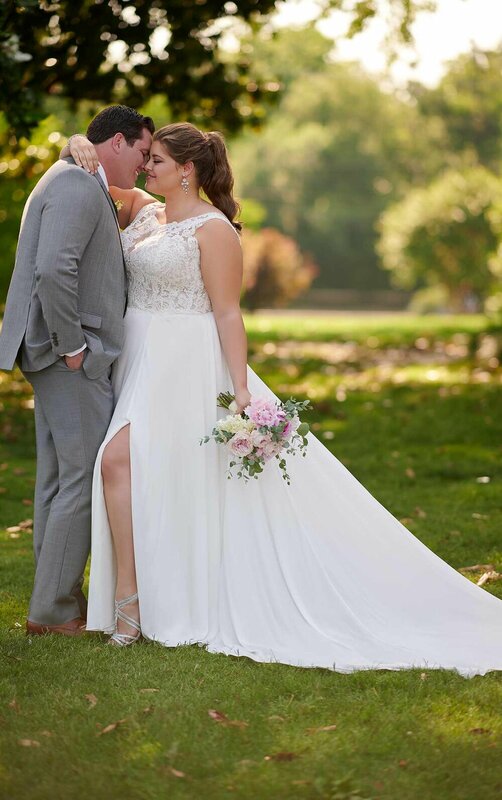 It's what made us a leading destination for plus-size bridal in Western New York. While some manufacturers charge extra for plus sizes, at Katherine Patricia we believe everyone should pay the same price. We'll cover any plus-sized order fees with our manufacturers. 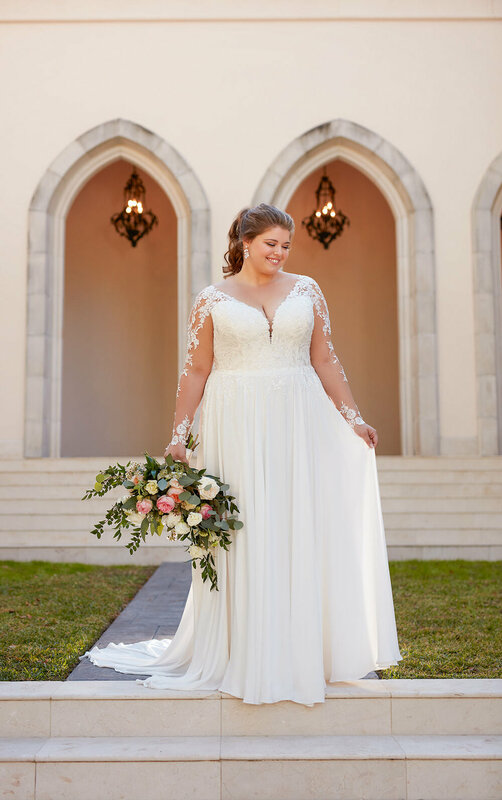 Our plus-sized bridal collection is designed to accentuate curves. 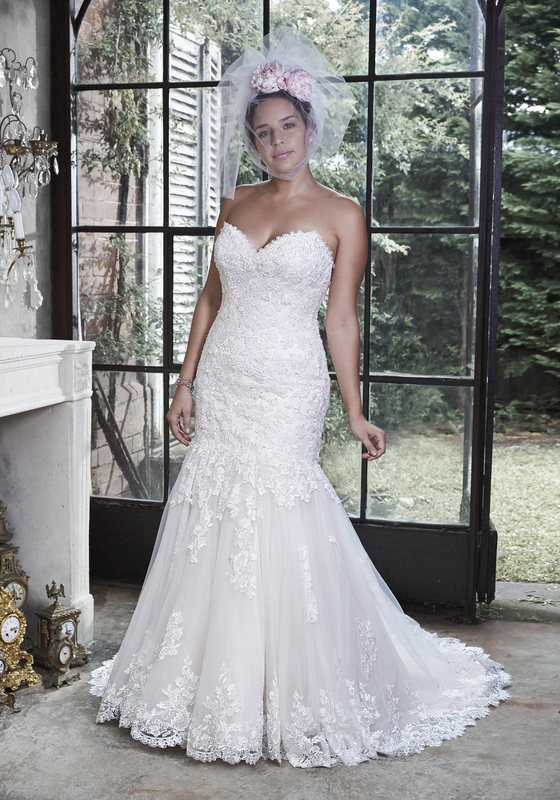 Many come with corset back closure and full boned interior to give a flattering, smooth look. We carry several designers to allow for variety and options. A full preview of what you'll see in our showroom. Samples of these gowns range in size from 16-26. We select our showroom samples to represent the most popular fits, cuts and details. These are only some of the plus-sized styles we can custom-order. We'll help you determine the style, size and details that flatter.